What made Mark’s program so effective was his focus on more than just physical fitness. He’d seen laughter conquer fatigue and bond teams at their BUD/S breaking point, intuition save his men during the hell of war and special ops missions. He knew he could form a fitness company that prepared civilians for the physical AND mental/emotional demands of Navy SEAL-like lifestyle. 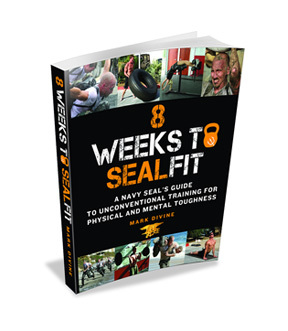 So he started SEALFIT. 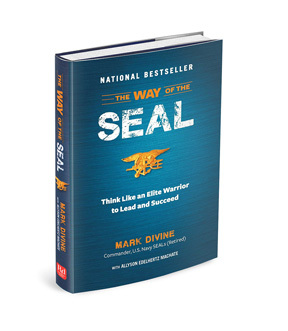 At the same time SEALFIT was beginning he co-founded Coronado Brewing Company, built www.NavySEALs.com, the leading website for SEAL gear and information, and launched US Tactical, a government contracting business. He also served as adjunct professor of leadership at the University of San Diego before the Navy called him up for duty in the Iraq War. 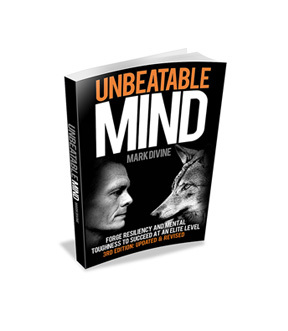 Through Mark’s teaching, entrepreneurial endeavors and travel to foreign countries, he noticed the power of mental toughness, emotional resilience, intuitive leadership and a healthy spirit for anyone wanting breakthrough performance. They weren’t solely for combat or restricted to the business world or one culture. He’d watch them transform lives in people from every background, nation and belief system. So he wrote and self-published his first book, Unbeatable Mind, in 2011 and launched its at-home study program. Grown up in upstate New York, a degree in economics and an MBA from NYU. He’d prepared for life as a high powered CPA… and then left his high paying finance career for the adventurous life of a Navy SEAL officer. Now he’s once again sought after by those same corporations and institutions, as a trainer of the mental toughness and the whole person training that shaped, and healed him. Mark lives with his family in Encinitas, California, where he continues to train, explore, learn from others and generate more resources to improve the lives of everyone he meets.